In an ideal world, we'd throw on whatever we felt like wearing to work on any given day. In the mood for a black-tie ensemble? Throw on a gown. Want to go straight from bed to the office? Pajamas and a bathrobe, please. But since most of us require a professional work look, we've come up with go-to office outfit formulas. We've even rounded up the most stylish business suits and picked out the best sneakers to wear on casual Friday. And now we're spotlighting another office-attire hero: the work dress. To find out all the best cuts, styles, and colors to choose for on-trend (yet comfortable) work looks, we asked a Who What What editor to share some wisdom. 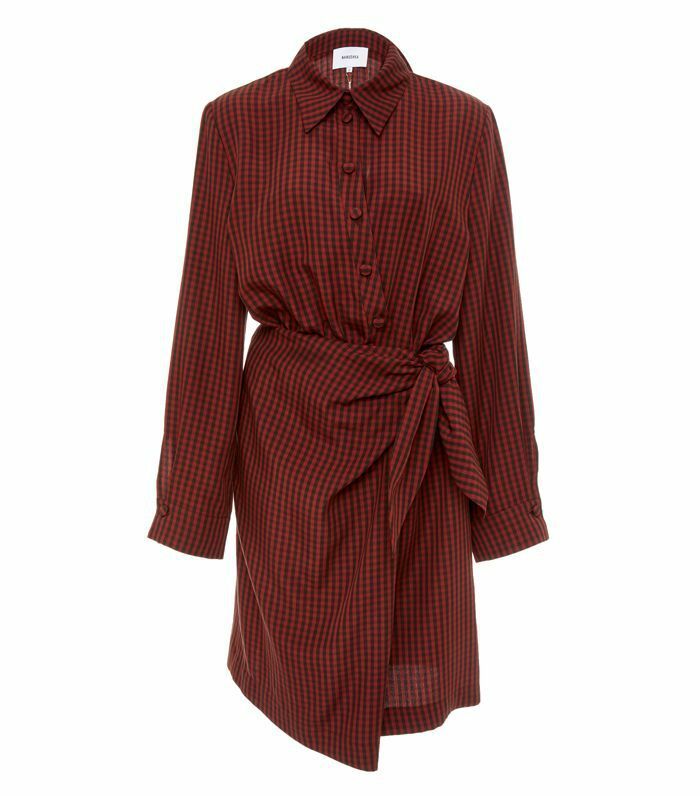 "A shirtdress will be your best friend," says Anna LaPlaca. It's a "work-wardrobe staple that's easily taken to nighttime by swapping out shoes and a bag, and "shift dresses are another work-attire mainstay." 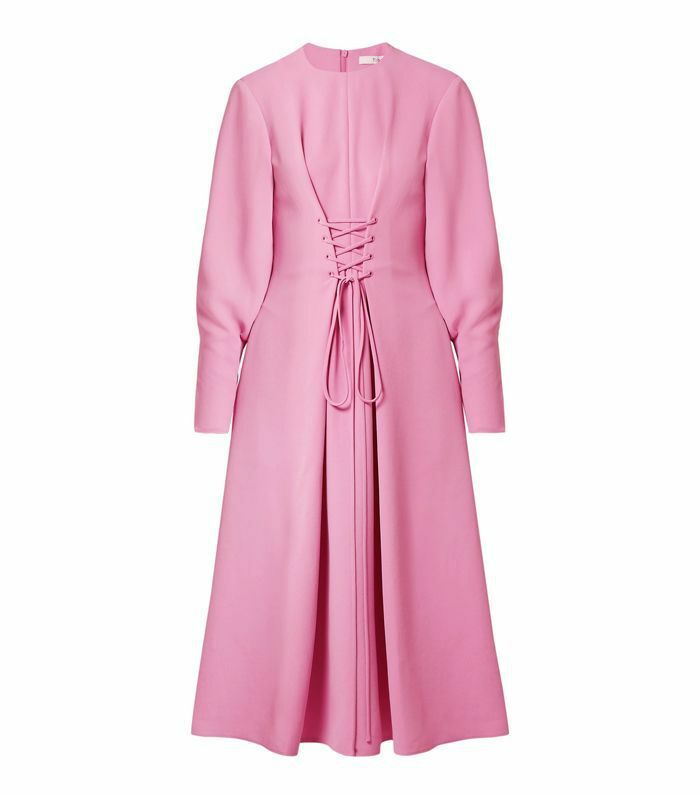 So if you're looking to refresh your wardrobe with some dresses for work, use the fashion editor-–approved roundup below as guidance. We broke them up into categories based on style and trend so you can curate your collection with whatever tickles your fancy. 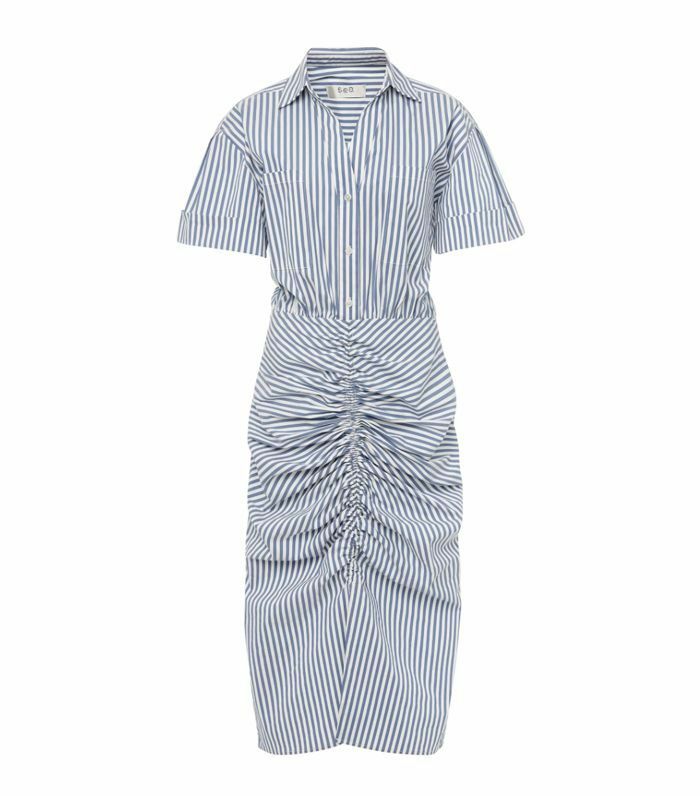 The asymmetrical cut, ruched sleeves, and high neck make this dress fashionable yet simple enough to wear year-round at work. Pair it with some pumps or booties depending on the season. 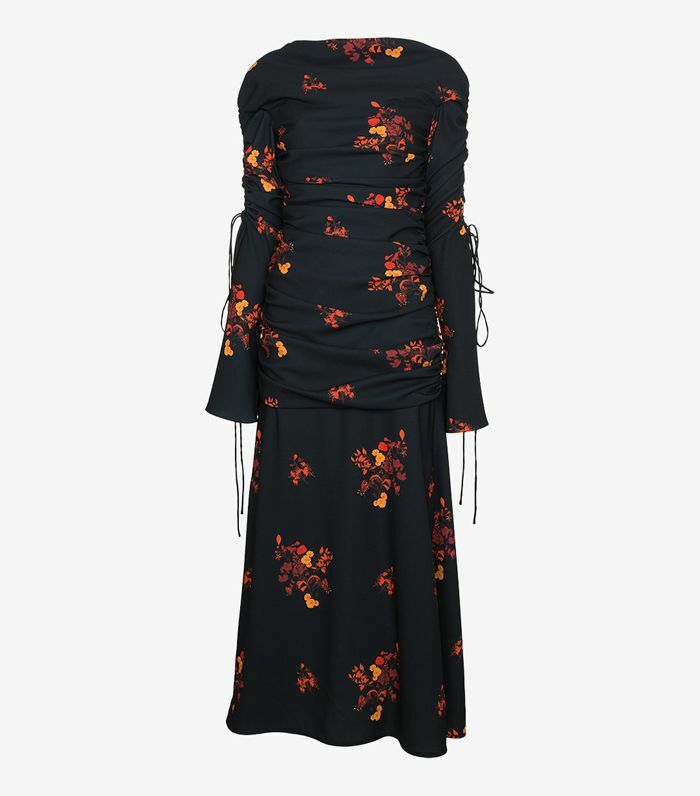 This fitted floral dress is both flattering and modest, not to mention sophisticated. The striking design will definitely make a statement, so save it for special occasions or when you want to make a strong first impression. 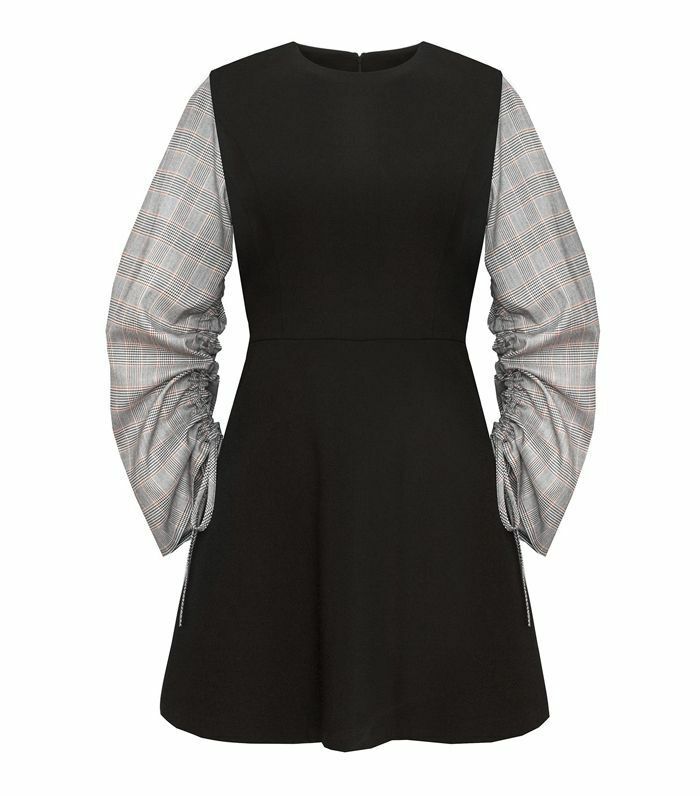 With a tailored waistline and ruched plaid sleeves, this dress mixes retro-inspired touches with a modern edge. This crushed-velvet piece will keep you warm and fashionable in the winter months, though you could wear it all year long since it's easy to layer. Simply add a turtleneck underneath to add dimension. The side-tie feature of this button-down shirtdress gives the classic style a modern update. Though the red checked fabric will add a pop of color to your closet, it's definitely versatile enough to wear over and over again with different accessories, jackets, and shoes. We found your new favorite work dress. 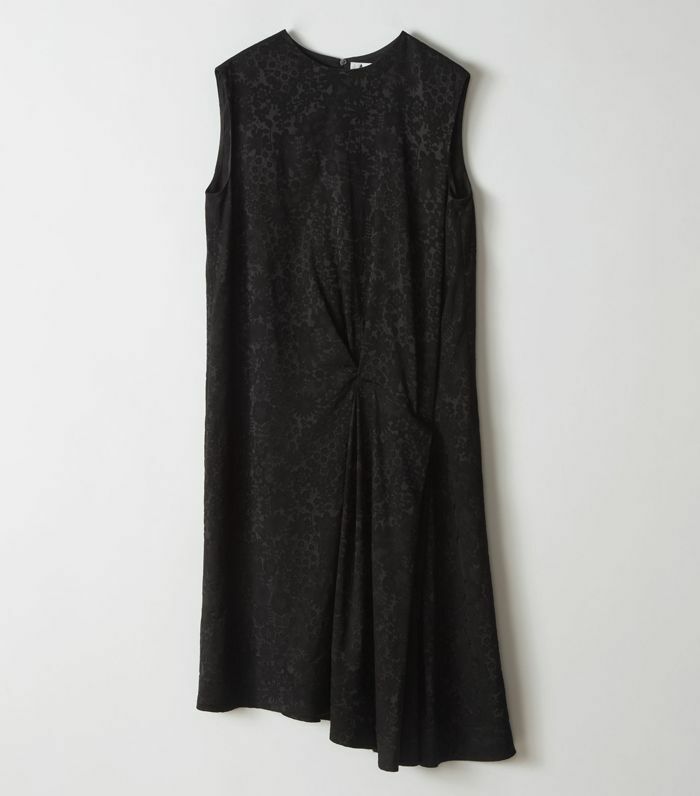 The loose-fitting sleeves are breathable for full comfort while the ruching adds a playful, on-trend element that makes this dress ideal for weekend events. 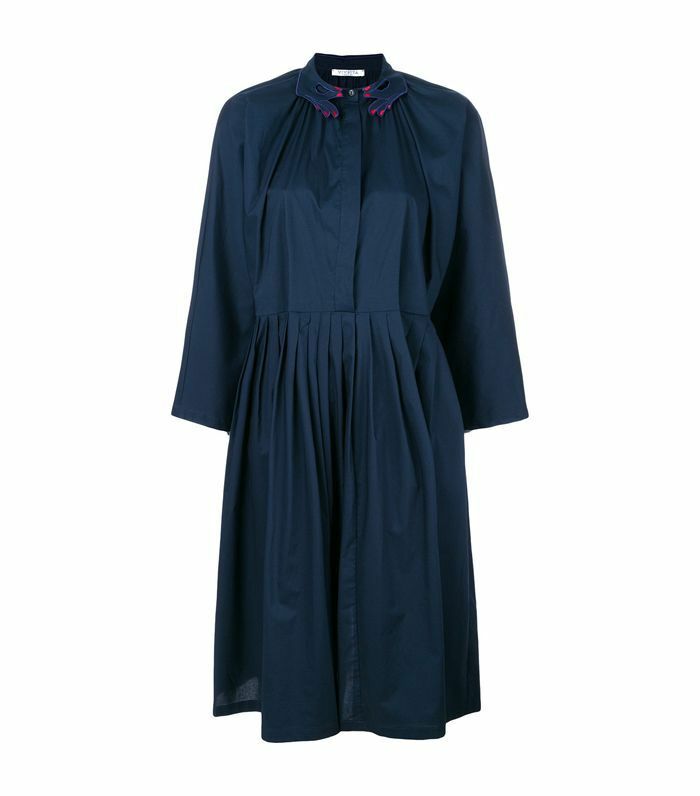 If you're on the hunt for a shirtdress that's roomy and modest in shape but eccentric and bold in design, look no further than this navy Vivetta number. The embroidered collar adds a perfect touch of class that contrasts with the pleated bottom. 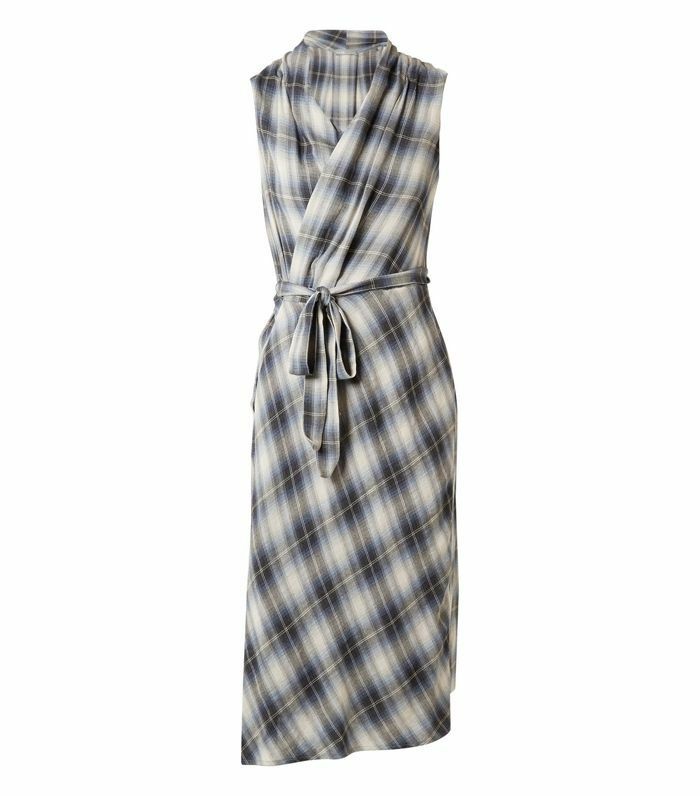 Wrap dresses are a foolproof, no-fuss option for work. This one is a nod to the '90s grunge aesthetic in a large plaid print. Wear it to a picnic, farmers market, or dressed up at the office. 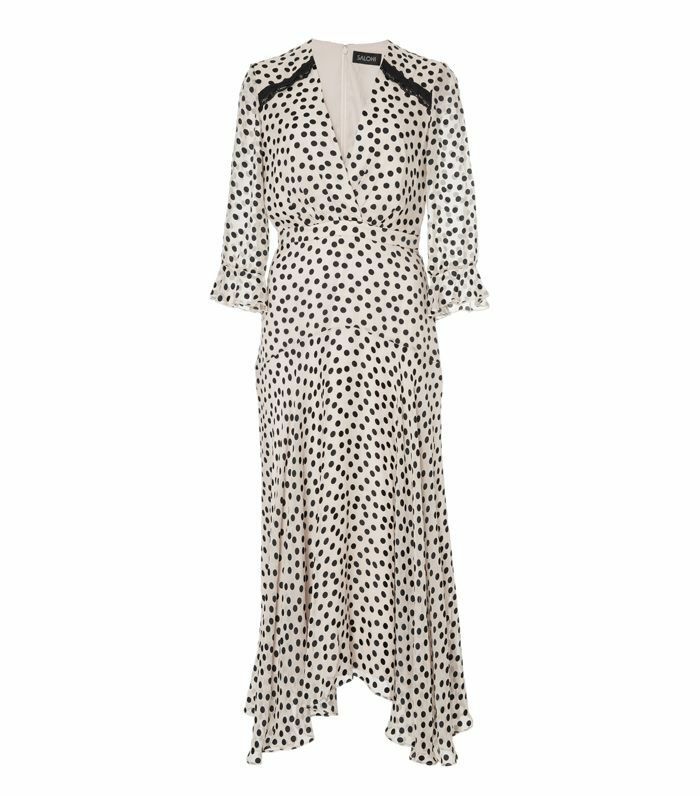 Elegant yet playful, this silk-blend midi dress features a fun polka-dot print and charming V-neck. Pair it with some suede sandals in the summer and knee-high boots in the winter. 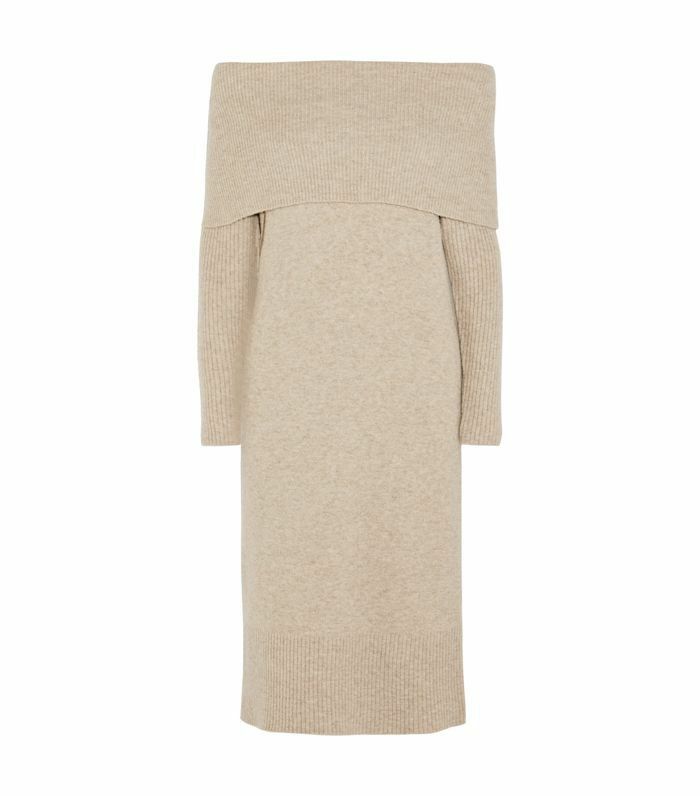 Why choose between wearing a cozy sweater or a flowy midi dress if you can do both? Wear it off the shoulders for happy hour and fold it up into a cowl-neck while at the office. 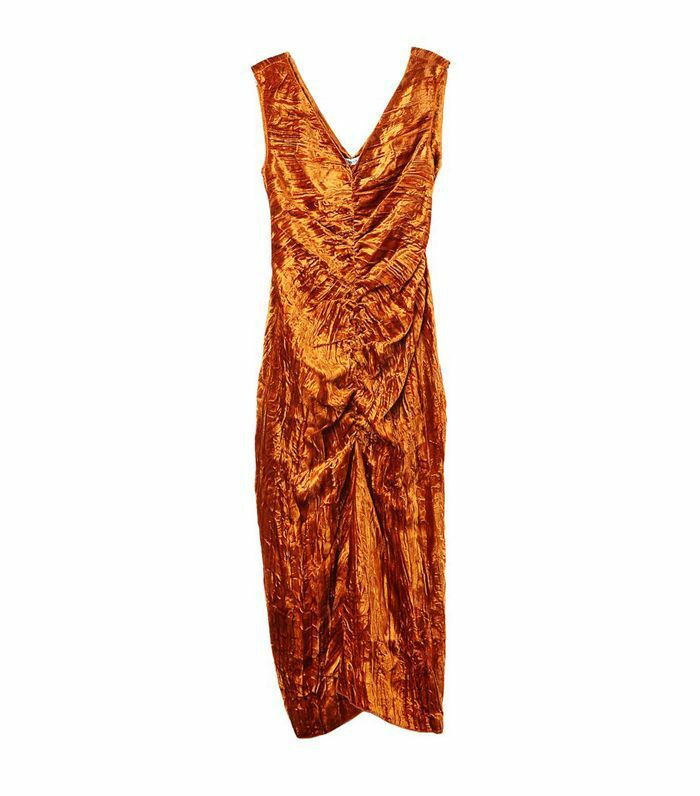 Pair with printed slingback heels and some statement earrings. 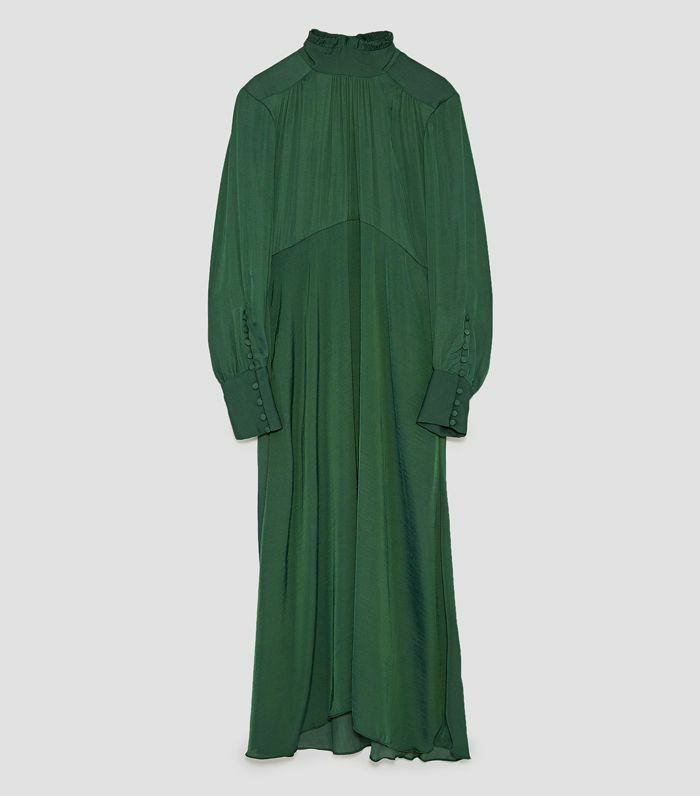 This bold green dress is a great staple. You can pair it with chunky jewelry and metallic boots for a winter-ready look or wear it with a blazer and lace-up sandals for spring. 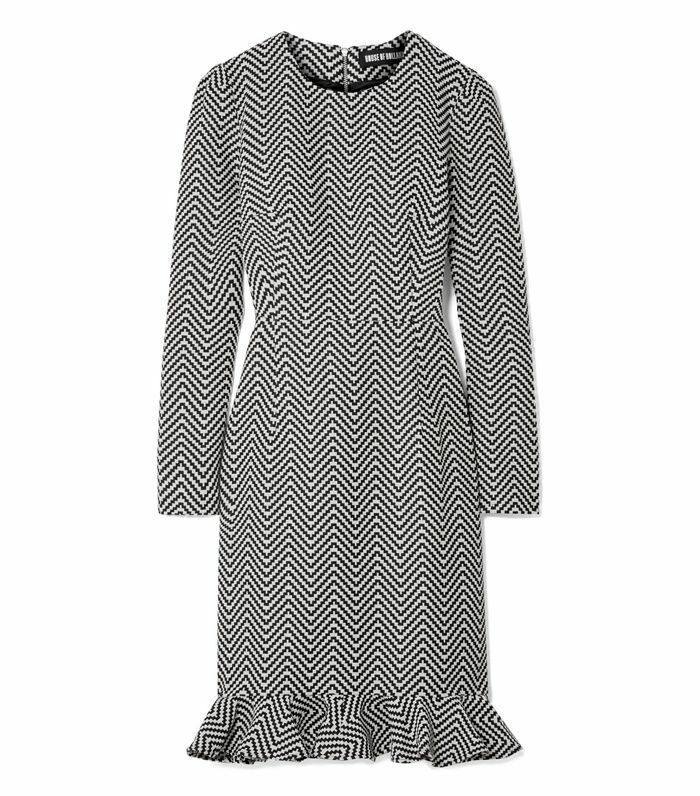 The formal jacquard print, dark hue, and pleat detail make this dress perfect for occasions that require a polished ensemble. Wear it as is with some pumps or layer a classic button-down shirt underneath for a more adventurous look. 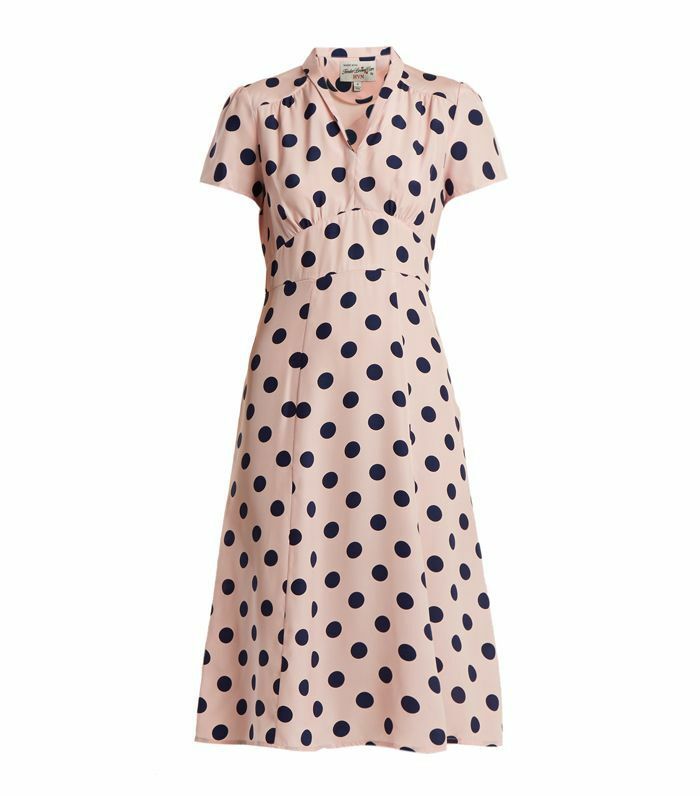 Blush polka-dot fabric is complemented by retro features in this piece. 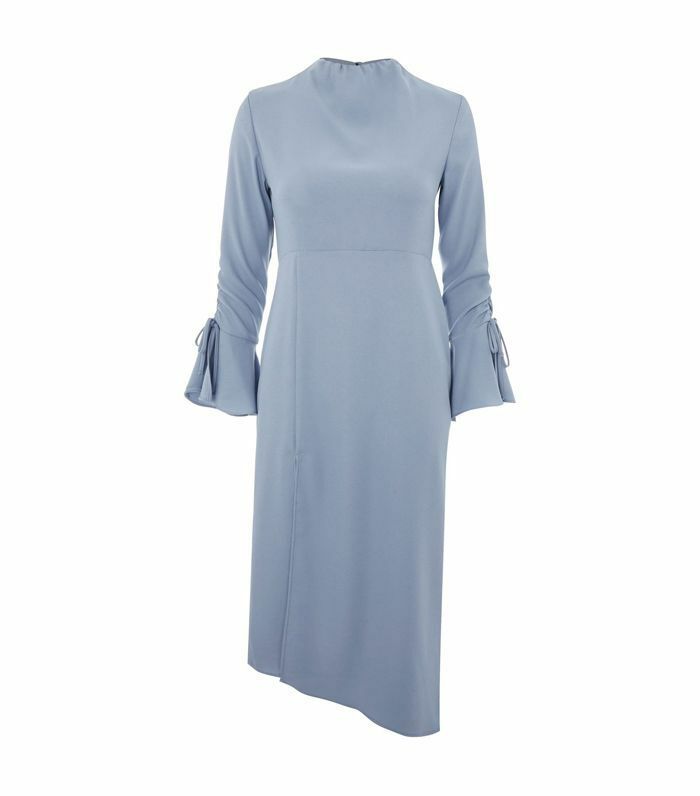 The collar and cap sleeves make the dress look both classic and refined. Opt for structured tailoring and ruffled details for an office ensemble that's anything but boring. The black-and-white color scheme makes it easy to style while the zig-zag print keeps things interesting. You can always count on Tibi for cool styles to keep your workday exciting. The tie-up bodice gives this bubblegum-pink dress a flattering waistline. We also love the statement sleeves.